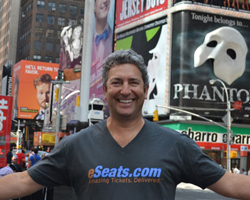 The ticketing industry is moving more toward email delivery, as this is what the market is demanding for quicker, easier delivery for our clients. There are two ways that tickets can be delivered electronically. There is a standard e-ticket. When choosing tickets for an event in the future, you will see that the tickets that can be delivered electronically are noted as such, however the tickets may not be in hand yet for immediate delivery. The expected delivery is usually 1-2 weeks prior to the event, if not sooner. Instant tickets, are e-tickets as well, however they have already been uploaded to our system for quicker delivery. Once the order is placed, and finalized on our end, the tickets are immediately emailed to you. 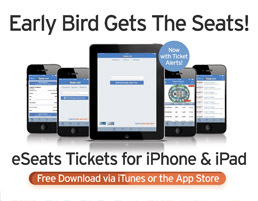 Instant tickets allow for a quicker delivery time once the order has been completed. There is also a delivery method called Flash Seats, that is being used by a few venues around the country like the Toyota Center in Houston, and the Energy Solutions Arena in Salt Lake City. This is also a form of an electronic delivery, however a Flash Seats account is needed to transfer the tickets to. Questions? Please call our office 480-361-2708, and chat with one of our customer service reps, as we are always here for you!